The new EU regulations regarding false codling moth won’t only be applicable to citrus, but will affect peach, nectarine, pomegranate and capsicum exports from South Africa as well. The stone fruit industry has finalised its draft protocols to manage the new FCM regulations and orchards have already been registered with the Department of Agriculture, Forestry and Fisheries (DAFF) for EU exports. 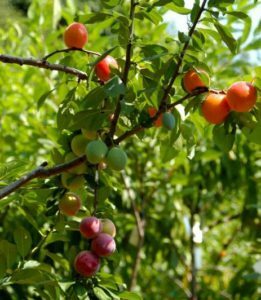 The start of the stone fruit season isn’t far off, although the regulation only kicks in on 1 January 2018, so they’ve had to move quickly, says Mariëtte Kotze, group operations manager at HORTGRO. As with the citrus industry, the stone fruit industry’s protocol will focus on a pre-emptive systems approach in the orchard and packhouse, based on scouting and monitoring as well as strategies like mating disruption, orchard sanitation and targeted control measures. Fortunately stone fruit is seen as a low-risk crop. Inspection points at packhouse delivery as well as endpoint inspection rounds up the Peach & Nectarine FCM Management System. The pomegranate industry has also based its protocols on the principles of a systems approach to ensure consignment freedom from FCM.